Korea's Gangchon Railpark Experience: New VR Launch 2017! 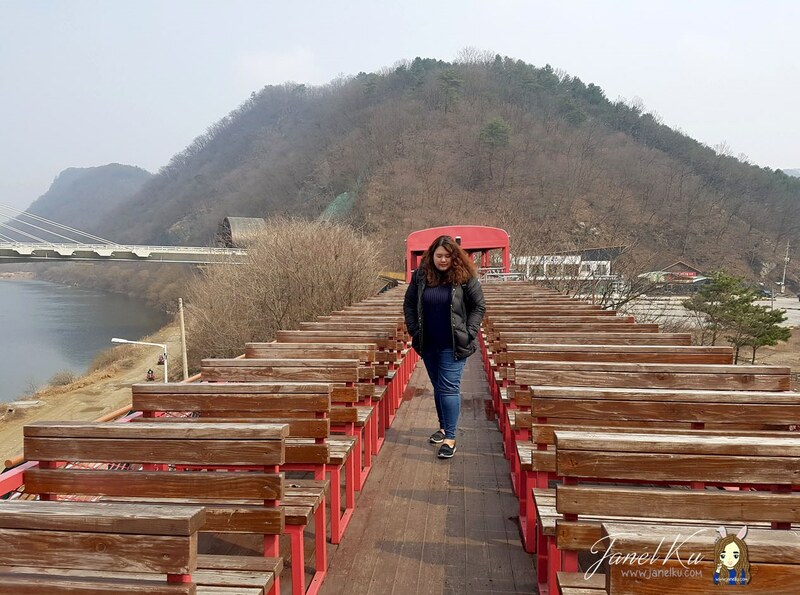 So one fine day, we decided to head out to experience the Gangchon Railpark (강촌레일파크) at Gimyujeong station! 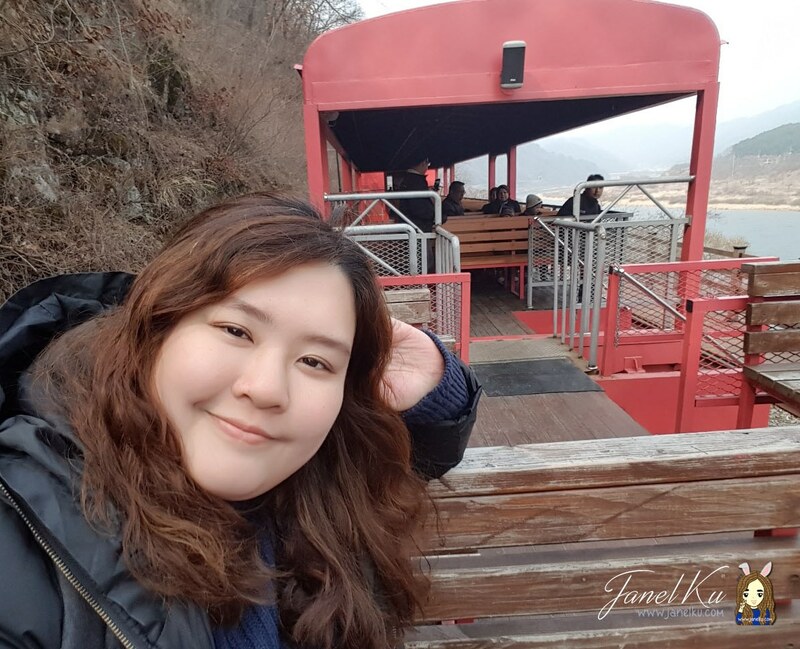 Gimyujeong station was so far, the ride took about 2hours 15 minutes from Hongik University Station (Hongdae). Here's how we went there by subway, it was easy, just time consuming. 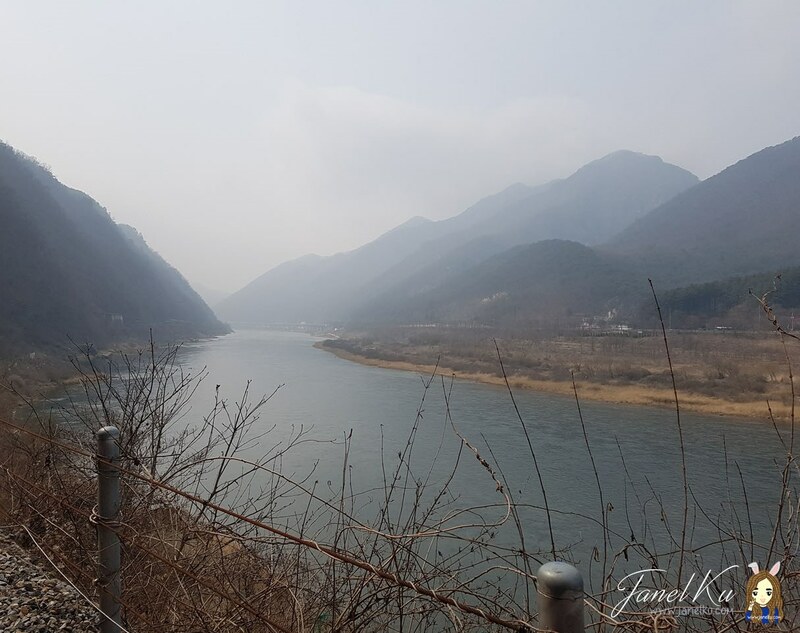 Sangbong (상봉역) >> Gimyujeong station (김유정역). Just 2 transfers, but it'll take some time as Gimyujeong is located all the way to the right end of the subway map. Upon reaching Gimyujeong station, just exit the station and turn right. You'll see the Railpark's carpark in the short distance. Just walk towards it and you're well on your way to an awesome ride. 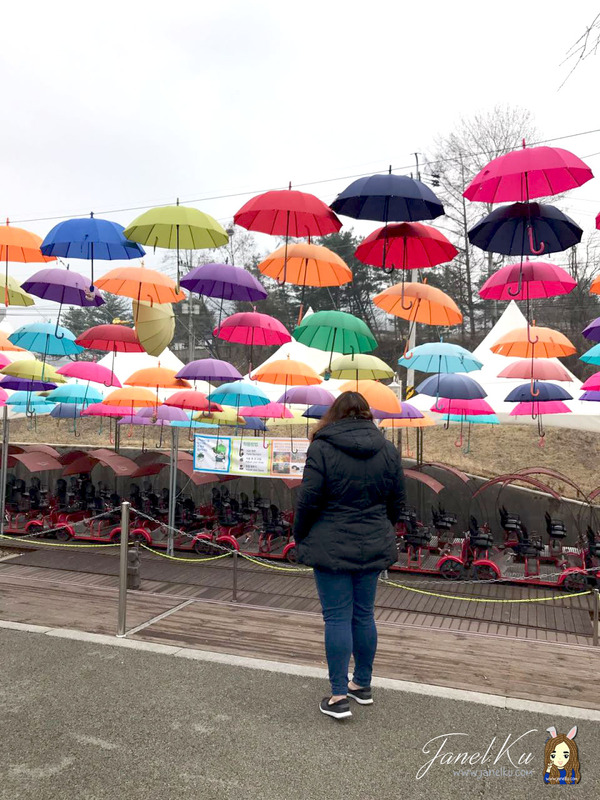 Tip: Don't forget to look back at the Gimyujeong station, which is extremely beautiful from the outside! We immediately head to the ticket box to purchase tickets for the 1pm ride. If you're planning to head there as a couple, I suggest you reserve the 2-seater bikes as they have less of those than the 4-seater ones. Alternatively, you can also try your luck for the last few timeslots, which, I think are actually better timeslots because you can avoid the sun! For the 4-seater bike, we paid 40,000 korean won. 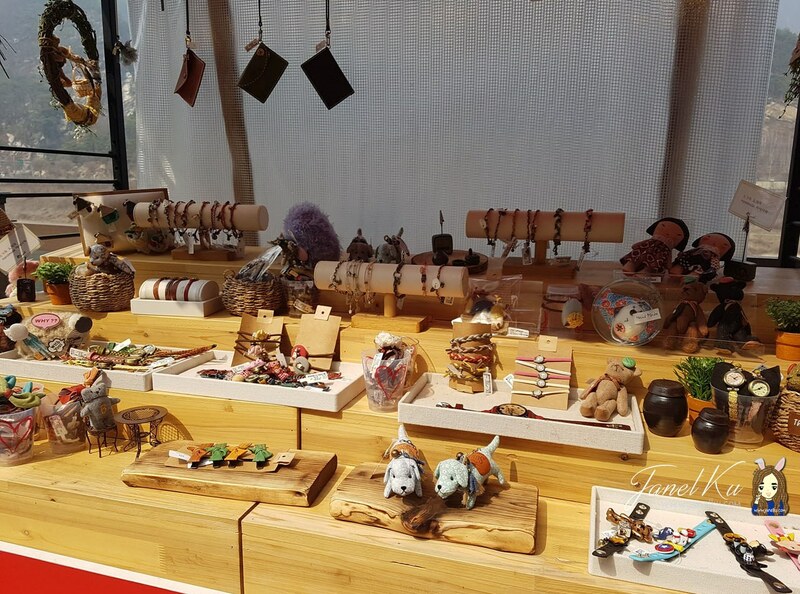 So that works out to about 10,000 won each, very affordable. If you're just going for a couple bike, it'll work out to be about 15,000won each. If you're hungry, no panic! You can purchase some snacks to enjoy before or during your ride. 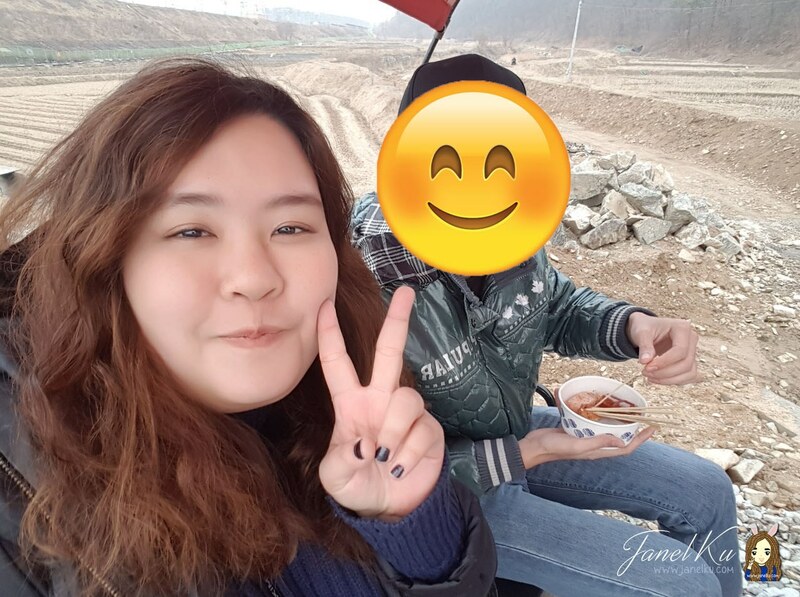 My friends overbought the food and it was soooo difficult to manage while we were riding on the 4-seater bike. So I suggest you just get a drink and something easy to eat if you really have to eat on the ride. To be honest, the ride doesn't take that long, you won't starve, for goodness sake. Nearing 1pm, the railpark staff will motion for you to queue up to board the bike. Remember to line up according to the signboard, which should be pretty easy to decipher. The staff will share some safety features before you board the bike. When you board the bike, staffs will also personally ensure you're all strapped and ready to go. Just listen to their instructions and you'll have an enjoyable time! 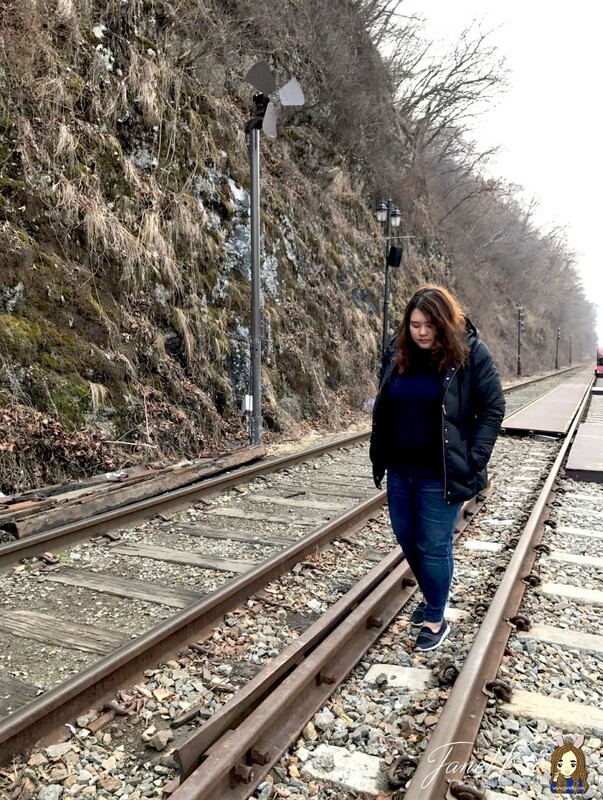 Phones are supposed to go into pockets as they are not liable for lost/dropped phones or cameras (reason being that you cannot stop the rail bike at any time along the way, so if you drop your device, you can say good bye to it for good). There are storage space under the seats for your bags. The sights along the way are really beautiful and the wind kept coming at us that day! It was soooo cold and our hands were freezing. There's nothing really challenging about riding the railbike as opposed to what I heard from some people as there's really no need to pedal throughout the track ways. We enjoyed all the tunnels as it was so beautiful, each one has a different theme! If you go, let me know which was your favourite. Towards the last tunnel, we had to slow down for the staff to give us our VR head devices. Importantly, if you opt for the VR, you need to note that you should NOT, at any one time, remove your VR gear even if you are feeling giddy - they have suggested that it would be too dangerous. Hence, I figured the best way (if you're feeling unwell) is to shut your eyes. The entire VR experience is about 3 mins or so. The theme of the VR would be you entering a tunnel and 'fighting/shooting' the monsters you'll experience in the tunnel. 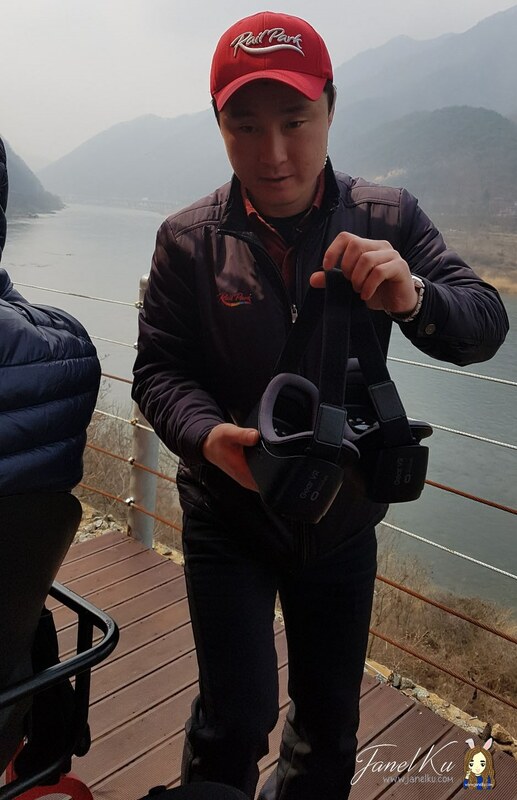 Powered by Samsung device, the VR buttons are so close that it is easy to press onto the wrong ones and mar the entire experience, as per what some of us had experienced. 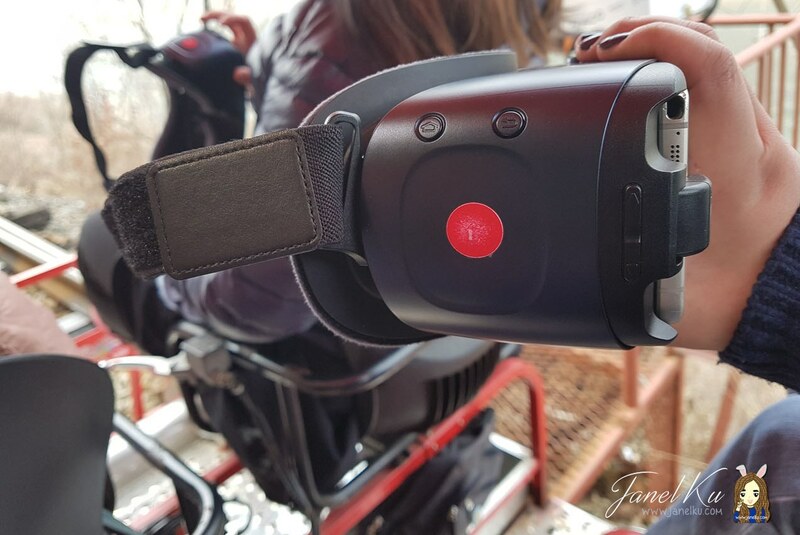 The shooting button is the red 'button' you see on my photo below, but some of us went to press the black buttons which ended up resetting our device, making the entire VR experience useless. So, take it from someone who has experienced this before - I rather not shoot the monsters so I can experience the entire VR ride. haha. But if you want to shoot the monsters, just make sure your finger never leaves the red button. After the VR experience, you'll be guided to remove your headset and soon you'll reach the pitstop. 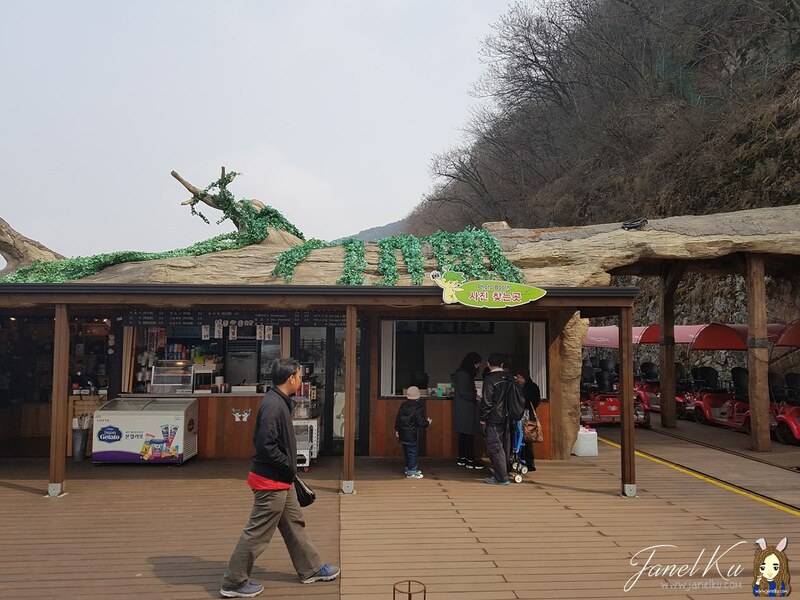 At this pitstop, you can purchase your photos (which would have been taken along the way) or stop to shop for drinks, snacks or handmade goods. 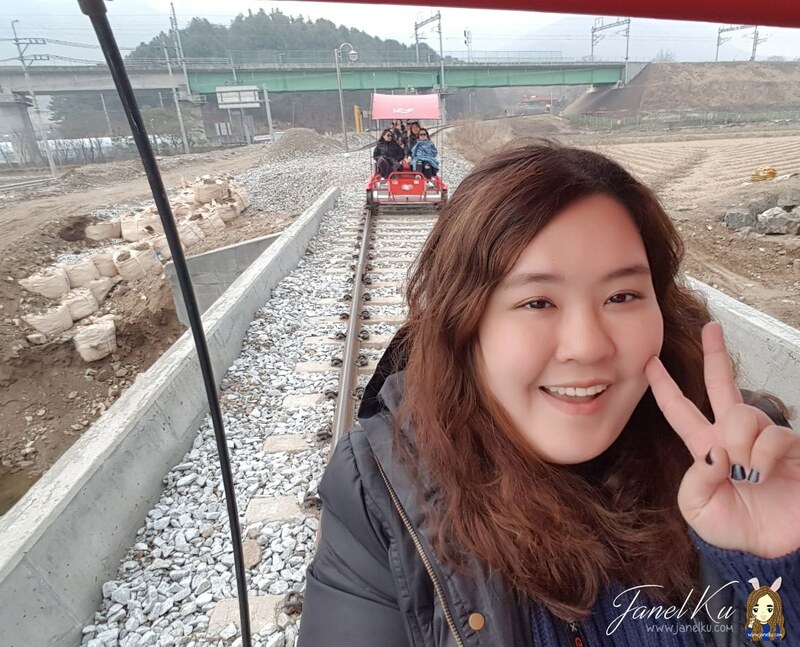 The entire Gimyujeong Station Course takes around 1 hour and 30 minutes, but time seems to pass so fast it didn't even seem like it took 1.5hours. Time for another photo on the tracks! 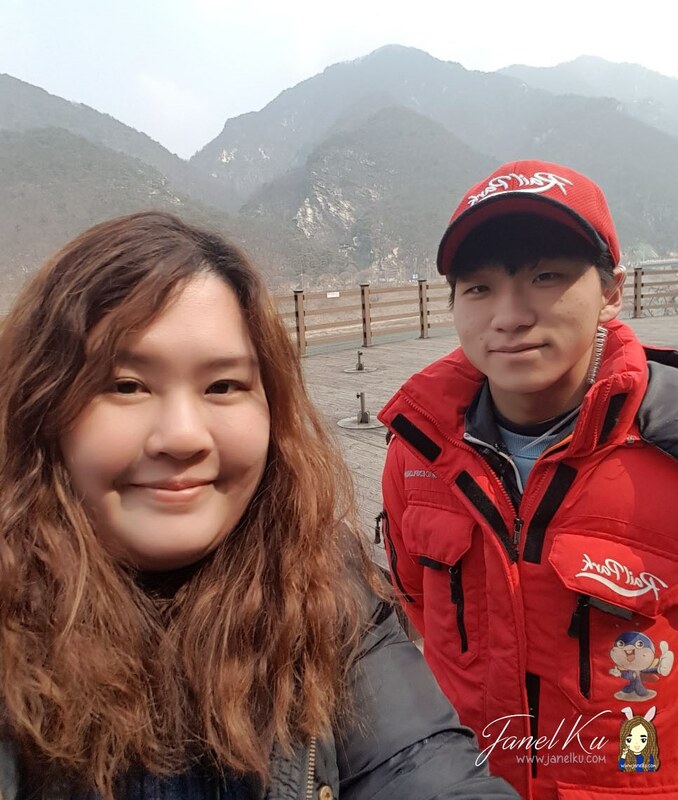 I also was shameless enough to get the railpark oppa to take a photo with me. Lol. Thereafter, a red train will back up into the tracks of the pitstop area. 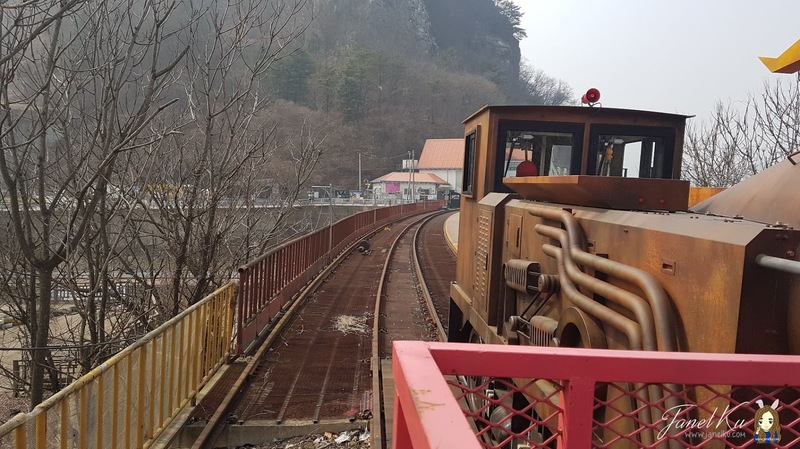 You'll need to board it and enjoy a scenic ride to the Gangchon station (abolished station). After you get off, follow those on your train ride to turn left to walk up a small slope towards various shops. Near GS25 convenience store, there'll be a carpark and a Gangchon Railpark shuttle bus will be waiting for you to board. 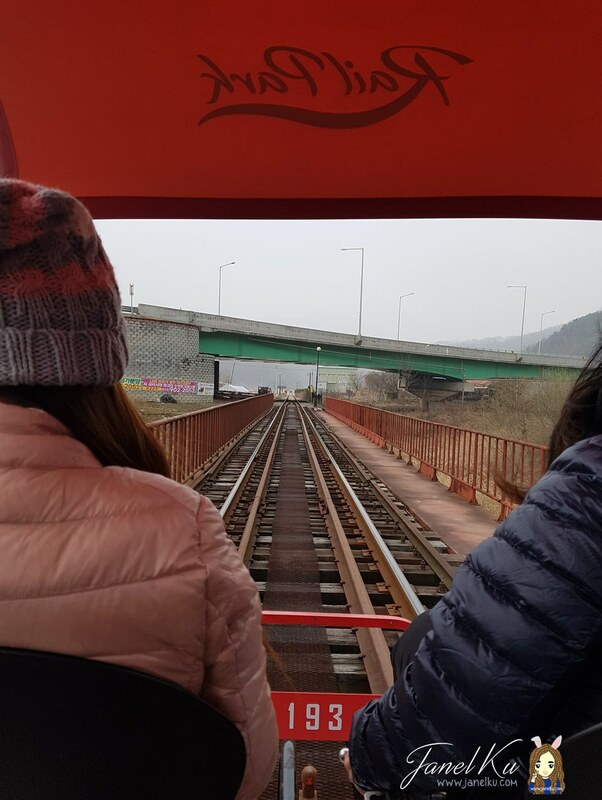 This shuttle bus will take you back to Gimyujeong station, the ride back takes about 15 minutes.